Have you tried looking at the troubleshooting thread? What video card do you have? By the way, I have NVIDIA GeForce GT-220. 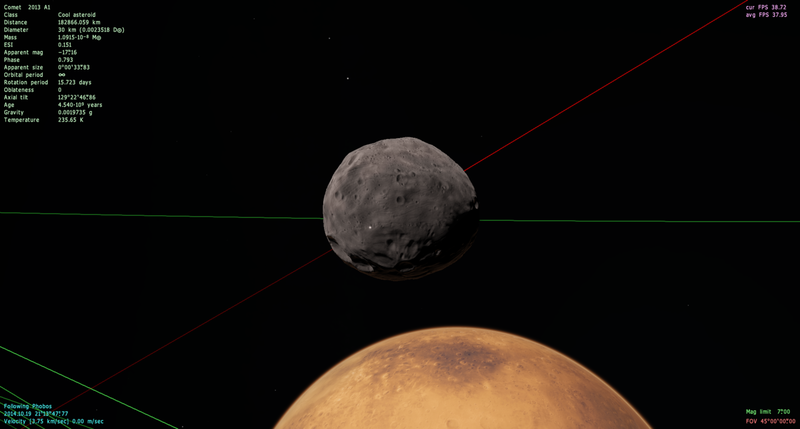 After that, delete the cache folder from the SpaceEngine directory. I get that Memory error. What error? Does it say something like "OUT OF MEMORY"? Also, it appears some planets have graphic problems, I visited one green planet(dunno the name), some black areas were appearing as I changed PoV(also happened on the ground). Do you have the latest update for the driver? Also, I think an NVIDIA GeForce GT-220 card is not quite good enough to fully run SE (but I know little about this). Try running SE without anything else in the background. The driver is up-to-date as far as I can remember. And the only thing I'm running along with SE is Game Booster. This information is in the log file just a few lines in, so when someone posts it you can find out from there. Zamachi, the GT-220 is a pretty low end card and just barely meets minimum requirements for SE. It would definitely be a bottleneck for your framerate, and might also explain your errors. I'm running a newer model of the same card (GT-620), which still gives mediocre performance. I don't see any glaring issues in your log file, but someone else might have ideas or potential fixes. I'd still recommend a new card though if you are able, a good one for SE can be found for well under $100 these days. Thanks for these advices, some of them actually helped me to crash less. Hi, i installed Space Engine 0.9.7.1 as a torrent a few days after it came out. Everything was working like it should until now. 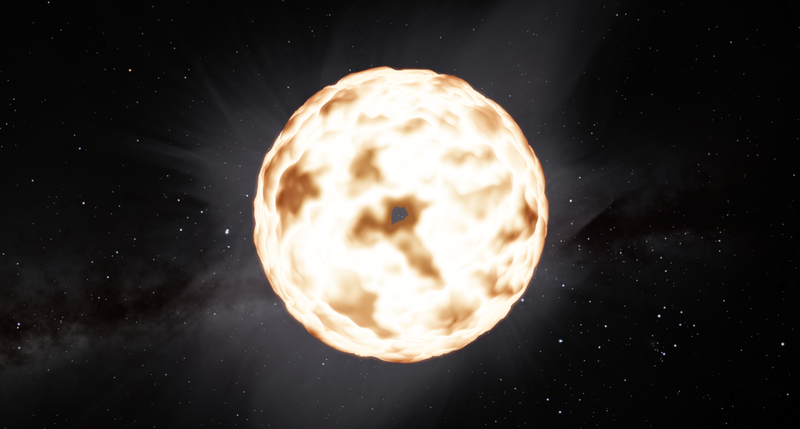 I started Space Engine and went to a random star, but the star was gone. The glow around the star is still there. After that i went to a planet in the same solar system. The planet nor its moons show up. The aurora of the planet it the only thing that shows up. I tried to restart the game but it didn't work. Comets and asteroids don't show up either. Galaxies and nebulae show up. I have never had these problems before. Can someone help me please? Have you updated you graphics driver lately? Also you don't post any info about your hardware, software (OS, GPU drivers) and you don't include your SE.log located in yourSEfolder\system\ which contains vital info for troubleshooting. Anyway if you have updated any graphics driver, you must delete your cache folder (located in your SEfolder) before running SE again. Nvidia GT 755M with 332.21, the latest driver. SE crashed while starting. Not happening with an older driver. Then program crashed, it ended here. Loading script "models/spacecrafts/default/Interstellar Cargo Ship.sss"
Initializing planetary system of star "Sol"
Creating planetary system of star "Gliese 784/CD-45 13677/HIP 99701/HD 191849"
Creating planetary system of star "HIP 69972/HD 125072"
Loading sound "music/Slambeatz - Iceplanet.ogg"
Initializing planetary system of star "Gliese 784/CD-45 13677/HIP 99701/HD 191849"
Sounds more like an Nvidia problem than an SE problem, so you should probably ask THEM to fix it. I've had an increasing number of problems with Nvidia's latest drivers, particularly with OpenGL apps, so I went back to an earlier driver version. Currently I'm using 310.90 and everything works perfectly for me. It seems that version 331.82 works well.